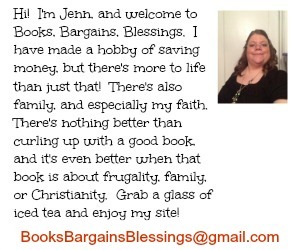 Books, Bargains, Blessings: Christmas / Holiday Cards! It's that time! Christmas / Holiday Cards! It's that time! I love Christmas cards! I remember as a child wanting to open all the cards that came in to our family. We had a business, and it was the 1970s and people still sent plenty of cards. It didn't matter I didn't know who the people were who sent the card, I wanted to see what neat cards everyone was sending that year. Then I'd watch as Mom taped them to the bookshelves to show off our plethora of cards. That was 30 years ago. It doesn't seem that people send as many cards these days, but I still love cards, and especially personalized ones! I love seeing how children have grown or some special adventure on everyone's cards. Last year I made Christmas cards with me in front of “The Church of the Saviour on The Spilled Blood” in St. Petersburg, Russia. One year I sent Christmas cards with a photo of me with school representatives when we got a $5,000 grant from a video I made. Of course, the check was in the photo, and I must say I look good with big checks going to the school! LOL! This year, I'm planning on sending Shuttefly Christmas cards. I thought of adding a photo of myself with Wolfgang Puck to the card. I even started making it with the Shutterfly design of "Family Frame", but decided to do something a bit different. I went to a Shutterfly House Party last week and already have decided on our Christmas cards. In February, we had a snow hurricane. We couldn't have our driveway plowed, we had to hire a back-hoe. Then the next day there was another eight feet of snow in our driveway. It was insane. The post office closed, Wal-Mart closed. If you were on the roads, and it wasn't an emergency, you would get a ticket. There was snow everywhere. We got snowed in to the point we couldn't open ANY door to our home. We were literally trapped. So, I decided to make cards using the Sweet Cinnamon Collage Christmas design from Shutterfly. I can add seven of the photos from our big snowstorm. I'm putting our names on it, and underneath it I'm writing, “Don't you DARE dream of a White Christmas.” I think it will give everyone a laugh, and since I live in a small town, I expect that people will be talking about the creative card I am sending this year. Another nice thing about Shutterfly is that I have a few Jewish friends, and I can make a few Hanukkah cards as needed. This card isn't religious, but is in Hanukkah colors, perfect for sending to my Jewish friends. Classic Border Navy Holiday Card. Shutterfly has a lot of great cards from Christmas Cards, Holiday Cards, and even New Year's Cards. Another card I paticularly like is this one: Top Ten Moments Christmas Card. Of course, I usually write a newsletter, but this would be great if you don't. And here's an added bonus if you blog! If you are willing to do a write up about Shutterfly cards, you can get 50 Free Shutterfly cards for Bloggers! I've been a Shutterfly customer for years, and trust me, you won't be disappointed in these cards. Once my cards arrive, I'll be sure and do a follow up post with a picture of my cards! Thanks for this heads up! !